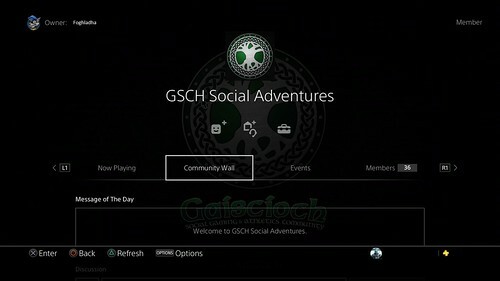 Gaiscioch is on the PS4! 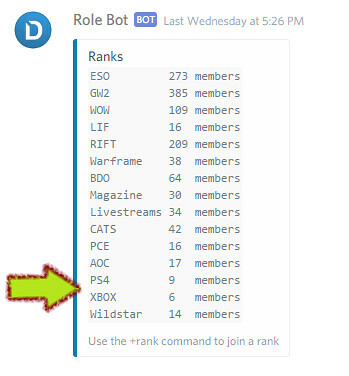 We have our own discord channel! I guess I'll make a note that there is also an Xbox discord channel. So, what kind of stuff is happening in the PS4 region of Gaisciochland? 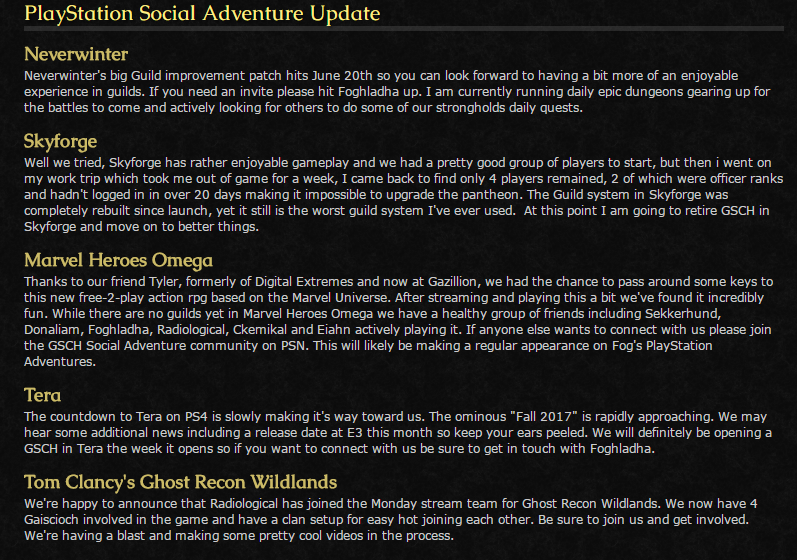 Fog has a nice little summery of things happening and upcoming games in the monthly newsletter. Since I am such a fan of screenshots, here you go. This is from June 2017. We also have a clan in Smite. Just search GSCH.